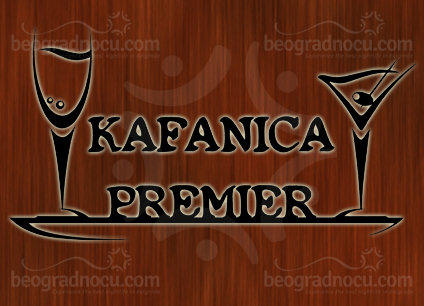 Tavern Premier is located at No 1a Starca Milije Street and represents special part within renowned restaurant Premier, located in cener of Rakovica. Tavern Premier exudes domestic style and bohemian atmosphere. Here you can relax and enjoy and listen to great traditional music. Interior of tavern Premier is subordinated to your maximum pleasure and entertainment. Tavern is decorated with old Serbian details but in combination with modern elements, which is a winning combination. Every Saturday tavern Premier is providing you enjouyment in great music performed by true professionals. Music repertoire is carefully selected so in tavern Premier you can hear only well-coordinated bands with years of experience. Here you can listen amazing traditional music that will gain you and remind you of old times. You could be able to everything that inspires these musicians. NA of course, music repertoire is adjusted to structure of guests which guarantees that you will not leave this tavern unsatisfied. In tavern Premier you can taste best drinks, most delicious food and you will always want to return. This is precisely one of main characteristics of tavern Premier. In tavern Premier you can expect impeccable service on high level. Staff is very pleasant and friendly and always ready to serve you. In tavern Premier waiter is always your best friend. Here you can spend time when you are sad, or happy, when you are celebrating something or just want to forget about your worries. Tavern Premier is an ideal for any occasion. House specialties are definitely chicken ''Cezar'', Tarator salad and leaf fish in foil sheet recommended by chef. Give yourself unique gourmand experience and enjoy in amazing taste that tavern Premier has to offer. There are also Italian pastas, various fish specialties, barbecue and other.